Law Offices of Robert A. Stutman P.C. 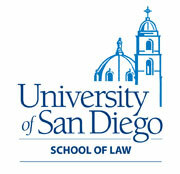 Don't miss this opportunity to recognize your peers or congratulate the San Diego Young Attorneys. 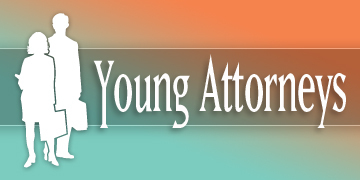 Highlight your company's expertise by advertising or sponsoring Young Attorneys 2012. San Diego County law firms maintain a competitive edge by attracting top attorneys as well as grooming outstanding young talent. In this special publication, The Daily Transcript recognizes the San Diego legal community’s up-and-coming stars with the fifth annual Young Attorneys honor. The Daily Transcript thanks these individuals for helping to select this year's winners of Young Attorneys. PITTSBURGH — New York and six other states say they plan to sue the U.S. Environmental Protection Agency over methane emissions from oil and gas drilling. SEATTLE -- Washington state Attorney General Rob McKenna's office filed has filed a lawsuit targeting a Florida-based company accused of sending people unsolicited text messages, calling it another form of spam that annoys people and costs them money. SAN JOSE, Calif. — Urging the world's largest smartphone makers to settle their differences, a federal judge said she will issue rulings aimed at resolving a multifaceted legal battle between Apple Inc. and Samsung Electronics. FedEx Corp. has been “systematically overcharging” customers by billing businesses and government offices at higher residential rates, a company sales executive said in an internal email unsealed in a lawsuit. The explosion in the popularity of social media has caused a change in the way businesses market themselves. For the past 50 years, Wingert Grebing Brubaker & Juskie has been a well-renowned trial firm. Wingert Grebing has substantial experience in litigation, including legal malpractice defense, business disputes, employment cases, real estate development, construction matters, employment, intellectual property matters, and significant personal injury claims. The attorneys at Wingert Grebing effectively represent their clients by developing a consistent strategy for each unique case, engaging in creative alternative dispute resolution and filing targeted dispositive motions. Wingert Grebing's attorneys are trained to be trial attorneys. While jobs at the large, AmLaw 100 firms continue to be scarce, the employment picture is much rosier for those looking to join smaller, boutique shops. According to the State Bar of California, 55.3 percent of applicants passed the July bar exam, including 68 percent of those taking the test for the first time.